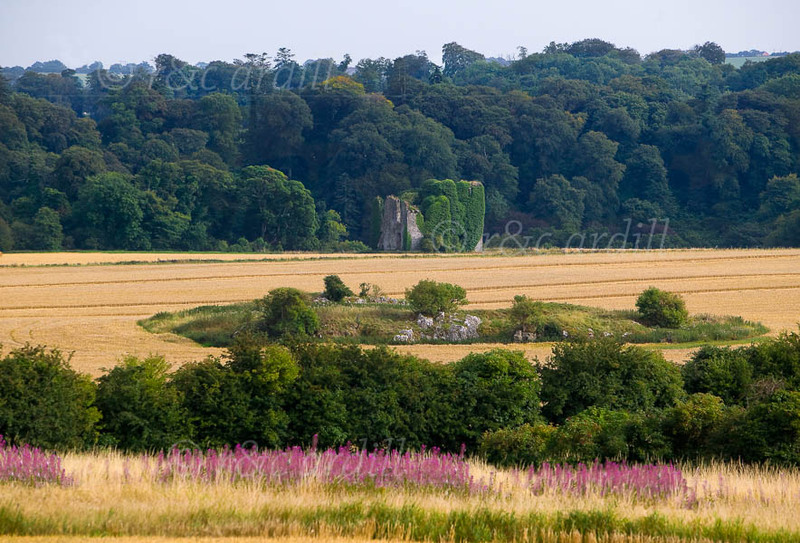 A view of the ruins of Dexter Castle near Slane. A Neotlithic stone circle can be seen in the wheat field. There are lush banks of purple fireweed in the summer months, as in the foreground of this picture. Dexter Castle dates back to the 12th Century and it overlooks the Boyne river.